VAG 191906091H, 357906092C. VW 191906091H, 357906092C. VW CORRADO (53I) 1.8 16V Coupe Petrol 04/1989 07/1992 FWD 16 136 100. SEAT TOLEDO (1L) 1.8 16V Hatchback Petrol 05/1991 03/1999 FWD 16 133 98. VW CORRADO (53I) 2.0 i 16V Coupe Petrol 08/1991 12/1995 FWD 16 136 100. VAG 357906091A. VW 357906091A. VW PASSAT (3A2, 35I) 1.6 Saloon Petrol 04/1988 07/1989 FWD 8 72 53. VW PASSAT (3A2, 35I) 1.8 Saloon Petrol 04/1988 07/1993 FWD 8 107 79. VW PASSAT (3A2, 35I) 1.8 Saloon Petrol 04/1988 07/1992 FWD 8 112 82. Golf Mk 1 & 2 - 1. 8 - from 1974 to 1991. We are a family run motor factors in Midlothian, Scotland. We are always happy to help and give advice. We buy direct from Quinton Hazell, Firstline, Gates and Borg and Beck making us Midlothian's only authorised dealer of Quinton Hazell parts. VAG 113027025A, 113027027C, 113127025C, 113127025D, 124127025A, 211127025A. VW 113027025A, 113027027C, 113127025C, 113127025D, 124127025A, 211127025A. VW BEETLE 1200 1.2 (11) Special Design Petrol 01/1960 12/1985 RWD 8 34 25. VW POLO 1.0 Fuel Pump 85 to 94 HZ QH 030127025 VOLKSWAGEN. SEAT 030127025. VAG 030127025. VW DERBY (86C, 80) 1.3 Saloon Petrol 09/1982 12/1984 FWD 8 75 55. SEAT IBIZA Mk II (6K1) 1.3 i Hatchback Petrol 03/1993 08/1999 FWD 8 54 40. Golf Mk2 1050 8/1983-85. Derby 900 1974-9/1981. Derby 1050 10/1981-85. Derby 1100 1974-84. "QUINTON HAZELL QFP101 FP268". THE FUEL PUMP IN NEW CONDITION, BNIB. DERBY 1.05, 1.1, & 1.3 (GK, GL, GT, HB, HH, HJ, HK & HW)-------1981>. SCIROCCO 1.1 & 1.3 (GF, GG & GS)----------------------------------------1981>1983. This item is New as can be seen in the photos. If you require any more information. VW PASSAT 3C2 2.0D Fuel Pump 05 to 09 QH VOLKSWAGEN. VW PASSAT (3C2) 2.0 TDI 16V Saloon Diesel 03/2005 07/2010 FWD 16 140 103. VW PASSAT (3C2) 1.9 TDI Saloon Diesel 03/2005 07/2010 FWD 8 105 77. VW PASSAT (3C2) 2.0 TDI Saloon Diesel 08/2005 07/2010 FWD 16 170 125. VAG 191906091H, 357906092C. VW 191906091H, 357906092C. SEAT TOLEDO (1L) 1.8 16V Hatchback Petrol 05/1991 03/1999 FWD 16 133 98. VW CORRADO (53I) 1.8 16V Coupe Petrol 04/1989 07/1992 FWD 16 136 100. VW CORRADO (53I) 2.0 i 16V Coupe Petrol 08/1991 12/1995 FWD 16 136 100. GOLF MK2 1.0, (19E) 08/1985-07/1988, eng code HZ. GOLF MK2 1.3, (19E) 08/1985-07/1988, eng codes MH, NU. JETTA MK2 1.0, (16) 08/1986-07/1988, eng code HZ. GOLF MK2 1.0, (1G) 08/1988-07/1991, eng code HZ. VAG 321906091. VW 321906091. VW PASSAT Estate (33B) 1.8 Estate Petrol 01/1983 03/1988 FWD 8 90 66. VW PASSAT Estate (33B) 1.8 Syncro Estate Petrol 01/1986 03/1988 AWD 8 90 66. VW PASSAT Estate (33B) 2.0 Estate Petrol 08/1983 03/1988 FWD 10 115 85. VAG 321906091. VW 321906091. VW PASSAT (32B) 1.8 Hatchback Petrol 01/1983 03/1988 FWD 8 90 66. VW PASSAT (32B) 1.8 Hatchback Petrol 12/1983 03/1988 FWD 8 112 82. VW PASSAT (32B) 2.0 Hatchback Petrol 08/1983 03/1988 FWD 10 115 85. VAG 357906091A. VW 357906091A. VW PASSAT (3A2, 35I) 1.6 Saloon Petrol 04/1988 07/1989 FWD 8 72 53. VW PASSAT (3A2, 35I) 1.8 Saloon Petrol 04/1988 07/1993 FWD 8 107 79. Engine Code: AAF; Chassis no. to: 70-P-030000; Model year to: 09/1992. VAG 4B0906087AN. VW 4B0906087AN. VW PASSAT (3B2) 1.9 TDI Saloon Diesel 08/1998 11/2000 FWD 8 115 85. VW PASSAT (3B2) 1.9 TDI Saloon Diesel 02/2000 11/2000 FWD 8 101 74. VW PASSAT (3B2) 1.9 TDI 4motion Saloon Diesel 08/1999 11/2000 AWD 8 115 85. SKODA 3B0919051C. VAG 3B0919051C. VW 3B0919051C. VW PASSAT (3B3) 1.6 Saloon Petrol 11/2000 05/2005 FWD 8 102 75. VW PASSAT (3B3) 1.8 T Saloon Petrol 02/2001 05/2005 FWD 20 170 125. SKODA SUPERB I (3U4) 1.8 T Saloon Petrol 12/2001 03/2008 FWD 20 150 110. SKODA 3B0919051C. VAG 3B0919051C. VW 3B0919051C. VW PASSAT (3B3) 1.6 Saloon Petrol 11/2000 05/2005 FWD 8 102 75. VW PASSAT (3B3) 1.8 T Saloon Petrol 02/2001 05/2005 FWD 20 170 125. VW PASSAT (3B3) 1.8 T 20V Saloon Petrol 11/2000 05/2005 FWD 20 150 110. VW PASSAT 33B 2.2 Fuel Pump 85 to 88 QH VOLKSWAGEN. VW PASSAT Estate (33B) 1.8 Estate Petrol 01/1983 03/1988 FWD 8 90 66. VW PASSAT Estate (33B) 1.8 Syncro Estate Petrol 01/1986 03/1988 AWD 8 90 66. VW PASSAT Estate (33B) 2.0 Estate Petrol 08/1983 03/1988 FWD 10 115 85. VAG 3C0919050C, 3C0919050P. VW 3C0919050C, 3C0919050P. VW PASSAT (3C2) 2.0 TDI 16V 4motion Saloon Diesel 03/2005 08/2010 AWD 16 140 103. VW PASSAT (3C2) 2.0 TDI 4motion Saloon Diesel 03/2005 05/2009 AWD 8 140 103. VW PASSAT 32B 2.2 Fuel Pump 85 to 88 QH 321906091 VOLKSWAGEN. VAG 321906091. VW 321906091. VW PASSAT (32B) 1.8 Hatchback Petrol 01/1983 03/1988 FWD 8 90 66. VW PASSAT (32B) 1.8 Hatchback Petrol 12/1983 03/1988 FWD 8 112 82. VW TRANSPORTER Mk2 1.6 Fuel Pump 68 to 79 AD QH VOLKSWAGEN. VW BEETLE 1200 1.2 (11) Special Design Petrol 01/1960 12/1985 RWD 8 34 25. VW BEETLE 1300 1.3 Special Design Petrol 08/1965 07/1970 RWD 8 37 27. 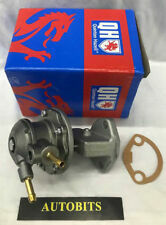 VW GOLF Mk1 GTI 1.8 Fuel Pump 82 to 83 QH VOLKSWAGEN. VW GOLF (17) 1.8 GTI Hatchback Petrol 08/1982 12/1983 FWD 8 112 82. VW GOLF (17) 1.6 GTI Hatchback Petrol 08/1976 07/1982 FWD 8 110 81. PEUGEOT 505 (551A) 2.0 GTi Saloon Petrol 10/1989 08/1991 RWD 8 113 83. VW PASSAT 3B 1.8 Fuel Pump 00 to 05 QH 3B0919051C VOLKSWAGEN. SKODA 3B0919051C. VAG 3B0919051C. VW 3B0919051C. VW PASSAT (3B3) 1.6 Saloon Petrol 11/2000 05/2005 FWD 8 102 75. VW PASSAT (3B3) 1.8 T Saloon Petrol 02/2001 05/2005 FWD 20 170 125. VW PASSAT 3B 2.8 Fuel Pump 00 to 05 QH 3B0919051C VOLKSWAGEN. SKODA 3B0919051C. VAG 3B0919051C. VW 3B0919051C. VW PASSAT (3B3) 1.6 Saloon Petrol 11/2000 05/2005 FWD 8 102 75. VW PASSAT (3B3) 1.8 T Saloon Petrol 02/2001 05/2005 FWD 20 170 125. VW PASSAT 3B 2.0 Fuel Pump 00 to 05 QH 3B0919051C VOLKSWAGEN. SKODA 3B0919051C. VAG 3B0919051C. VW 3B0919051C. VW PASSAT (3B3) 1.6 Saloon Petrol 11/2000 05/2005 FWD 8 102 75. VW PASSAT (3B3) 1.8 T Saloon Petrol 02/2001 05/2005 FWD 20 170 125. VW PASSAT 1.8 Fuel Pump 88 to 90 QH 357906091A VOLKSWAGEN. VAG 357906091A. VW 357906091A. VW PASSAT (3A2, 35I) 1.6 Saloon Petrol 04/1988 07/1989 FWD 8 72 53. VW PASSAT (3A2, 35I) 1.8 Saloon Petrol 04/1988 07/1993 FWD 8 107 79. VW PASSAT 2.0 Fuel Pump 90 to 97 QH 357906091A VOLKSWAGEN. VAG 357906091A. VW 357906091A. VW PASSAT (3A2, 35I) 1.6 Saloon Petrol 04/1988 07/1989 FWD 8 72 53. VW PASSAT (3A2, 35I) 1.8 Saloon Petrol 04/1988 07/1993 FWD 8 107 79. VAG 321906091. VW 321906091. Engine Code: JN. VW PASSAT (32B) 1.8 Hatchback Petrol 01/1983 03/1988 FWD 8 90 66. VW PASSAT (32B) 1.8 Hatchback Petrol 12/1983 03/1988 FWD 8 112 82. VW PASSAT (32B) 2.0 Hatchback Petrol 08/1983 03/1988 FWD 10 115 85. VW PASSAT 1.6 Fuel Pump 88 to 89 1F QH 357906091A VOLKSWAGEN. VAG 357906091A. VW 357906091A. Engine Code: 1F; Model year from: 08/1988. VW PASSAT (3A2, 35I) 1.6 Saloon Petrol 04/1988 07/1989 FWD 8 72 53. VAG 1H0906091, 1H0919054AK, 1H0919651P, 1H0919651Q. VW 1H0906091, 1H0919054AK, 1H0919651P, 1H0919651Q. Engine Code: AEX; Engine Code: AKV; Chassis no. to: 6K-W-516000. Model year from: 07/1996; Model year to: 11/1997; Engine Code: AEX. VW PASSAT 33B 2.0 Fuel Pump 83 to 88 QH 321906091 VOLKSWAGEN. VAG 321906091. VW 321906091. VW PASSAT Estate (33B) 1.8 Estate Petrol 01/1983 03/1988 FWD 8 90 66. VW PASSAT Estate (33B) 1.8 Syncro Estate Petrol 01/1986 03/1988 AWD 8 90 66. Fuel Pump QFP611 Quinton Hazell. Part Number QFP611. VAG 321906091. VW 321906091. VW PASSAT (32B) 1.8 Hatchback Petrol 01/1983 03/1988 FWD 8 90 66. VW PASSAT (32B) 1.8 Hatchback Petrol 12/1983 03/1988 FWD 8 112 82. VW GOLF 1J 1.6 Fuel Pump 99 to 06 QH VOLKSWAGEN. Function Fuel Feed Unit. VW GOLF Mk IV (1J1) 1.4 16V Hatchback Petrol 08/1997 06/2005 FWD 16 75 55. VW GOLF Mk IV (1J1) 1.6 Hatchback Petrol 08/2000 06/2005 FWD 8 102 75. VAG 191906091H, 357906092C. VW 191906091H, 357906092C. VW CORRADO (53I) 1.8 16V Coupe Petrol 04/1989 07/1992 FWD 16 136 100. VW CORRADO (53I) 2.0 i 16V Coupe Petrol 08/1991 12/1995 FWD 16 136 100. SEAT TOLEDO (1L) 1.8 16V Hatchback Petrol 05/1991 03/1999 FWD 16 133 98. Fuel Pump QFP905 Quinton Hazell. Part Number QFP905. SKODA 3B0919051C. VAG 3B0919051C. VW 3B0919051C. SKODA SUPERB I (3U4) 1.8 T Saloon Petrol 12/2001 03/2008 FWD 20 150 110. SKODA SUPERB I (3U4) 2.8 V6 Saloon Petrol 12/2001 03/2008 FWD 30 193 142. VAG 026127025E, 026127025F. VW 026127025E, 026127025F. AUDI 100 (44, 44Q, C3) 1.8 Saloon Petrol 02/1986 07/1988 FWD 8 88 65. AUDI 100 (44, 44Q, C3) 1.8 quattro Saloon Petrol 08/1986 07/1990 AWD 8 88 65. Fuel Pump QFP931 Quinton Hazell. Part Number QFP931. VAG 4B0906087AN. VW 4B0906087AN. Function Fuel Feed Unit. VW PASSAT Estate (3B5) 1.9 TDI 4motion Estate Diesel 08/1999 11/2000 AWD 8 115 85. VW PASSAT Estate (3B5) 1.9 TDI Estate Diesel 02/2000 11/2000 FWD 8 101 74. VW PASSAT 32B 2.0 Fuel Pump 83 to 88 QH 321906091 VOLKSWAGEN. VAG 321906091. VW 321906091. VW PASSAT (32B) 1.8 Hatchback Petrol 01/1983 03/1988 FWD 8 90 66. VW PASSAT (32B) 1.8 Hatchback Petrol 12/1983 03/1988 FWD 8 112 82. VAG 026127025E, 026127025F. VW 026127025E, 026127025F. AUDI 80 (89, 89Q, 8A, B3) 1.6 Saloon Petrol 09/1986 08/1991 FWD 8 75 55. AUDI 100 (44, 44Q, C3) 1.8 Saloon Petrol 02/1986 07/1988 FWD 8 88 65. AUDI 80 (89, 89Q, 8A, B3) 1.6 Saloon Petrol 08/1987 09/1991 FWD 8 70 51. VAG 035127025G. VW 035127025G. VW PASSAT Estate (33B) 1.9 Estate Petrol 01/1981 07/1983 FWD 10 115 85. AUDI 100 (43, C2) 1.9 Saloon Petrol 08/1980 07/1982 FWD 10 100 74. AUDI 100 (43, C2) 2.0 Saloon Petrol 06/1976 08/1978 FWD 8 115 85. AUDI 1J0919087C, 1J0919098H. VAG 1J0919051B, 1J0919087, 1J0919087C, 1J0919087D, 1J0919087H, 1J0919087J. VW 1J0919051B, 1J0919087D, 1J0919087H, 1J0919091C. Model year from: 11/1998; Model year to: 06/2000; Fitting Position: in fuel tank; Engine Code: AQY.